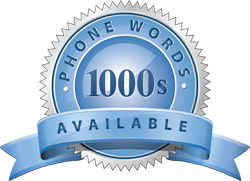 One thing that can be said about phone words, it helps one heck of a lot to generate sales. In fact, it is one of the latest buzz words being used in Australia. Using 1800 or 1300 numbers followed by your favourite buzz name beats the old way of trying to remember long phone numbers hands down. What Exactly are Phone Words? Made up from the letters of the alphabet that appears on the keypad of either your cellphone or landline set, phone words sure are the easiest way to remember anyone’s phone number. As business owner you get to play around with words, or part of words in any form that pleases you. These words will take the place of corresponding phone numbers that are often hard to remember. If you have a pest control business in Australia, you could easily replace the following number 1300 398 376 with 1300 EXTERMINATE to help your customers remember your number. Have you noticed that phone words are not limited to only 6 letters. 1800 numbers used in Australia normally consist of 10 digits while 1300 numbers consist of 6, but you can use whatever word you want your customers to remember you by. As long as it is closely related to what your company stands for, it will be fine. Amazingly, there are quite a few telephone keypads in Australia. You may wonder how it would be possible to choose the right phone word as the customer may phone your business and get through to another company. No need to be overly concerned though. According to research 9 times out of 10 users make use of ACMA/International keypads whereas 93 percent of cell phones have the same universal keypad. Other sets that use ACA and AUSTEL keypads are in the minority. It might be an idea to make your customers aware of this to ensure that their keypads are in line with ACMA/International keypads. 1300Easydial will happily provide more information on phone words and related subjects.